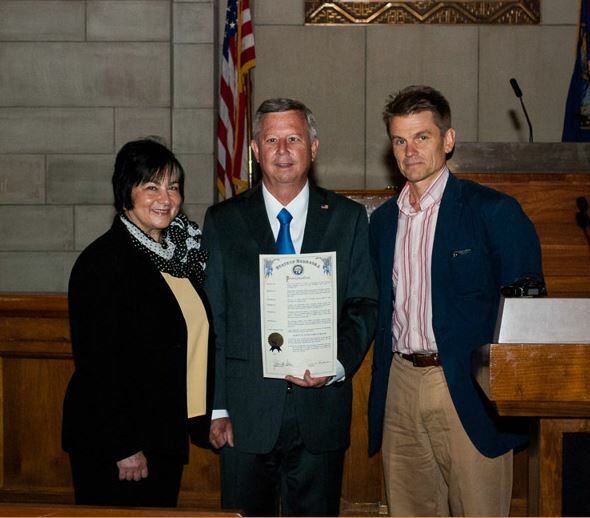 In a ceremony on August 13, 2014, Governor Dave Heineman and First Lady Sally Ganem proclaimed August to be Parental Involvement Month. Studies show that when parents are involved in a child’s education, student attendance increases, student attitudes and accomplishments improve, and discipline problems decrease. This generally holds true regardless of a family’s socio-economic status, education level or cultural background. “It’s important for parents to be actively involved in their children’s learning,” said Gov. Heineman. “Involvement doesn’t mean parents must be experts in math and science, but it does mean taking actions like setting high expectations, creating space at home where children are able to focus and learn, and meeting with teachers while taking an active interest in a child’s educational achievements. Sixpence Early Learning Fund grants, which support programs to help parents support children’s education from birth through age three – critical years when early learning can pave the way for future success in school. Beyond School Bells, a program that supports community-driven efforts for parents to become more involved in the educational experiences happening outside of the classroom.